Note to new readers: this post is about the pretend-psychic and cold reader John Edward (pictured right), and not anyone with a similar name who is currently was running for President of The United States. It’s also about James van Praagh (pictured below left). This coming Friday November 16, the credulous Larry King (CNN) is featuring “psychics (sic) John Edward and James van Praagh”. No doubt they will be playing their usual guessing game with callers. Why the dead can only remember their initials, and not their full names, is never adequately explained. Anyway, guessing initials is the bread and butter of the cold reader. J, M, R and S are common initials in America. (For crying out loud, both these cold-readers’ names are “J” names.) And they’re flexible - for example R includes Bob as well as Robert. A “G” will count as a hit for the “J” guess, and so on . M is common especially among older women. Also Mike is a fairly common male name. “M” can also be “Mom”. Notice how often (ie not very often) they guess other initials. “Yes You Do!” or “Write This Down” or "Keep That"
"Yes you do" is a specific Edward technique. When he guesses wrong, he will insist the caller, not he (Edward), is wrong. The caller just doesn’t realize he had the older brother that Edward incorrectly guessed he had. Edward’s technique is to be very aggressive and supremely confident – so much so that the callers often think their knowledge of their own family is incorrect. The instruction to “Write This Down” will also give the impression that Edward is right and the caller wrong, since Edward is obviously so sure he is right, he wants the caller to write it down to verify it later. Of course, no one ever follows up to see if what the caller wrote down was actually true. Van Praagh version of this will be to say "Keep That" - to imply the caller will eventually recall what van Praagh has guessed. Again, no one can check to see if the missing connection is ever recalled. The thing to note is that “Yes You Do!”, “Write This Down” and "Keep That" are just techniques to recover from the completely wrong guess. This is sufficiently vague that it covers a multitude of possible dead people, including older brothers/sisters, aunts/uncles as well as parents and grandparents. The caller will supply the actual answer that Edward can then pretend he got. This approach is so much more likely to produce a hit than, say, “I can see your Father” (who might not actually be dead). Not strictly an cold reading technique – but notice how Larry will credulously accept even bad guesses as a hit. It’ll happen at least once during the one hour show, and serves as additional validation. Most deaths can be assigned to either the “head area” or the “chest area”, so either of these guesses has good chance of being correct for somebody the caller knows. “Chest area” covers all heart disease as well as lung cancer. Either head or chest could include car accidents and the like. Also asking about "Breathing Trouble" will usually result in a hit - what person didn't have "breathing trouble" when they were dying? Also, there will be several guesses of “Cancer”, because who doesn’t know someone who died from cancer? Questions such as “who had a birthday recently” will usually result in a hit – who doesn’t know someone who recently had (or soon will have) a birthday? Likewise, “Wedding” is likely to be a correct guess for someone the caller knows. Most families had a loved pet that died, sometime, and so asking about the dog is a reliable standby. Asking about a dead “Child” may be less reliable, but will be an strongly emotional hit if the guess is correct. If not, Edward may claim he is right anyway (see “Yes You Do!”, above). VAN PRAAGH: Did she have a toy that she loved so much, she nearly wore it out? CALLER: Yes! She had a stuffed Pink Panther that she carried with her everywhere! VAN PRAAGH: Because she's showing me a Pink Panther. Edward or van Praagh will ask, is someone moving? And lets face it, who doesn’t know someone who just moved or is about to? (Think about your own friends. I moved recently and two of my friends did also.) If this is a good guess, Edward will always say something like “I thought so because they’re showing me boxes”. It’s his way of claiming this rather obvious guess was told to him by the dead people. "Boxes can also be a hit for any other kind of gift, such as a birthday (coming soon or just gone). Occasionally Edward will make an outlandish guess – who died in a plane or car crash? / who has a leg or arm missing? / suicide? / shot in a robbery? – you name it. It’s always presented as a question, so when no one fits the bill he can quickly move on to the next guess. And the mark will rarely remember the wrong guess. But on the rare occasions he is correct it will look as though he must be the real deal. “How could he know my grandfather lost his arm in the war?” Of course, you need to carefully count the number of guesses he gets wrong that the callers forget. Which can be difficult at the speed that Edward spits out guesses. As well as initials, they will at some point guess a number. The number chosen will usually be from 1 to 12. That way, if the number is (say) the actual date the relative died, (or was born, graduated – anything will do), he can claim a great hit – he got the date right. If not, then someone will have a birthday, death (etc) in the numbered month. So when the number guessed is between 1 and 12, there is always the fallback to claim it relates to a month. The guess is therefore much more likely to be a “hit” than a number over 12. In fact, see if either of them ever guess a number over 12. And see how many times they guess a number from 1 to 12. Van Praagh will often ask about "Jewelry" - because most elderly relatives will have left some jewelry, or perhaps a watch to their children or grandchildren. The caller will supply the details. This is, of course very manipulative, emotionally, to remind the caller of precious items their dead relatives left them. EDWARD: OK, Linda, the first thing I want talk about is, I know you're looking for your mom but I'm getting an older male who's also there on the other side. I feel like this is somebody who would be above you, which means it's like a father-figure, or an uncle, and he passes from either lung cancer or emphysema, tuberculosis; it's all problems in the chest area. OK, that's the first thing. And I feel like there's a J or a G-sounding name attached to this. EDWARD: She's got a very dominant personality. CALLER: That's my mother. Her first name starts with G and she had emphysema. Edward had said the “chest area” person was the “older male”. Caller recollects this ailment is her Mother. The caller has accepted this obvious (wrong) guess as a “hit”. EDWARD: Is there a Katherine or Kathleen connected to you? CALLER: My brother's name was Keith. This is a big part of the psychology of cold reading – the caller feels it is his or her fault if Edward guesses wrong and so the caller, if possible, will try to turn Edward’s miss into a hit. It’s hard from just reading the above, to appreciate the speed that Edward can get through something like that. I’m pretty sure the idea is that with enough guesses, something is likely to be right, and with the speed that Edward whizzes through them, the caller will forget all the wrong guesses. 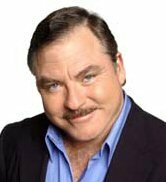 Despite all the above techniques, Edward or van Praagh will sometimes miss completely on every guess for a caller. When this happens, they will simply say that the reading (ie the dead person he was talking to) was for a different caller. It’s the perfect “out” – when he’s right he’s right; when he’s wrong he’s still right (but for a different caller). Of course, this result is indistinguishable from someone just making guesses. EDWARD: I see a badge. Who wore a badge? CALLER: My Dad was in the police! EDWARD: Yes, because they’re telling me he was in the police. Edward claims specific knowledge although his guess was initially much more vague. The caller supplied the details that Edward pretended he got. A similar guess is “Flag”. Edward sees them waving a flag – that can mean someone patriotic (in the military), or someone born (or died, etc) around the fourth of July, or a warning sign – the caller supplies the answer. The sum total of most of these validating guesses is usually that the dead relative is “OK”. There’s never any useful actual information given – “the gold coins are buried _________”, or “the number of the Swiss bank account that you didn't know I had is ­­­­­­­­­­­­­­­­­­­____________”, or “the name and address of the person who murdered me is __________”. Instead we always hear that the dead people are “OK”. Worthless. And, most importantly, totally unverifiable. Edward’s favorite. After a series of guesses that are clearly wrong (the caller hasn’t agreed with any), Edward will ask, aggressively “do you understand?” The caller will usually reply “yes” – ie they do understand what Edward is saying. But “I understand” is not the same as “you are correct”. It can appear that even just a nod here can mean verification. That covers all the squares. If anyone knows any of van Praagh’s specials, please add them to the comments. And have fun playing bingo. Usually the game is to get a straight line marked out. With these two bozos I think it should be possible to get the whole card marked off. Thanks to The Amazing Randi for supplying the van Praagh techniques I included above . Also thanks to members of the JREF Forum, and especially Rob Lancaster for the "Pink Panther" example. And a huge thanks to Brett who built the randomized bingo card you see above. The show was a total let down - no cold reading despite the promise that the psychics would "take your calls" - just a load of vapid claims from a bunch of dopes that included Shirley MacLaine. I'll leave the post up so that it's there for the next time they actually do have Edward doing his cold reading act. I just posted about the actual program (which was not as advertised) - From The Sublime to The Ridiculous. Won't watch it, which is a pity since this bingo game sounds like lots of fun. Erm, Skeptico, you missed an 'S' in the square just under 'free space'. "...we [psychics] are here to heal people and to help people grow. Skeptics... they're just here to destroy people. They're not here to encourage people, to enlighten people. They're here to destroy people." Apu - thanks for spotting that. Now corrected. I must have looked at that a hundred times and not seen the typo. Didn't John best say something like that a dozen times on the Worst Arguements thread? Nicely done! I really like the bingo card idea. Not long ago I posted about the same topic on my own site, analyzing the cold reading technique used on a woman who wrote an article for the Washington Post. If interested, you can read it here: An Example of Cold Reading. Why not send a copy of this post to Larry King? Nah, never mind. If he's already sucked in so bad that he's giving them air time, he's probably a lost cause. Kinda like PBS "honoring" whackos like deepak et al. by giving them air time. LOL, yeah and montel williams. This is a great idea, except to classify as an ACTUAL bingo game we'd need some hundreds of different combinations of the card with the squares in different positions. If you simply replace the word "people" with "me" in your quote from Van Praagh, I think he's totally right! LOL. One thing you haven't mentioned about Edward's technique: frequently the dead person asked for by the "client" does not come through. Someone else does. Edward can't help it; it's a "party line" and whoever wants to talk comes through to him. I believe that this prevents people with a specific question for a deceased loved one from putting Edward on the spot. Instead, Edward turns the tables on them, tells them their mother or whoever is unavailable, and then says something like, "But I am sensing a younger male figure," or somesuch. Now Edward has confused the "client" and enlisted them in his cold reading. That's a good one woodah. I'd noticed he does that too - I should have had a square for it. Oh well. S said: This is a great idea, except to classify as an ACTUAL bingo game we'd need some hundreds of different combinations of the card with the squares in different positions. Do we have to randomize it every game?...I dont wanna mess up lucky card. P.S. Please please please write back thank you. Andrea. Unless that's a joke, you really are in the wrong place. Why don't you tell that little girl (who obviously found this forum in a search) that her mother is an idiot who believes in something that (although it can comfort her and make her at peace) is crap. Then tell me that what you are doing (taking hope from the hopeless) is right. And you think that providing false hope is a somehow a good thing? You have got it quite wrong. Andrea - psychics are crap, what they do is crap, what they say is crap. However your mother is not an idiot, she has just been fooled by them, as it appears have you. C - You think it right that we don't expose liars, cheats and frauds simply because they can make people fell better? If so, you are in fact the idiot here. As Q pointed out, it is not hope but false hope that we take away. If you can't see this difference, again, it is you who are the idiot. Which is more right: profiting off vulnerable people who miss their loved ones, or telling them to stay away from charlatans and not sully their memories with the words of opportunistic liars? We're not taking hope away from anyone, we're exposing the people who are peddling false hope and empty platitudes for exorbitant fees. Regarding “taking hope from the hopeless” – read how Sylvia Browne did just that to the parents of Shawn Hornbeck. You going to tell me that “is right”? Psychics do not offer hope. They offer escapism and denial. For a price. They twist the emotional knives in people to keep the pain going so that they can keep making money.